Home | School News | WOW: starts Wednesday, 23rd January! 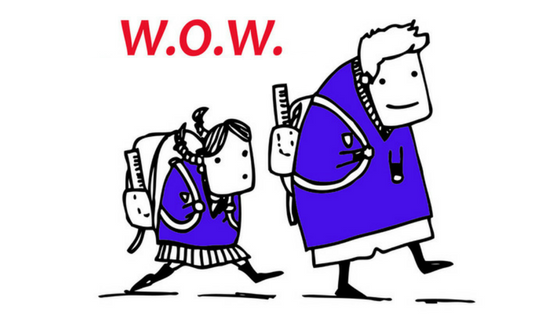 WOW Walk on Wednesday is recommencing in the school tomorrow Wednesday 23rd January 2019. This is where we ask that all children, where possible, use an active way to travel to school every Wednesday for the rest of the term (walking, scooting, cycling, or public transport). The school has a 100% active mode target to reach every Wednesday, so we need your support! For those who live outside of walking distance, and who have no feasible alternative to driving, car sharing/pooling combined with Park ‘n’ Stride will count towards our 100% target. Car sharing/pooling involves sharing a car journey with another family who also have to drive, thereby reducing the number of cars on the road. Park ‘n’ Stride involves parking a short walk from the school in legally marked parking spots, and undertaking the final part of your journey on foot.